Igman Initiative once again succeeded in gathering representatives of state bodies, non-governmental sector and media with an aim of including as many as possible decision-makers in resolving status and property issues of citizens of countries signatories to the Dayton Agreement. 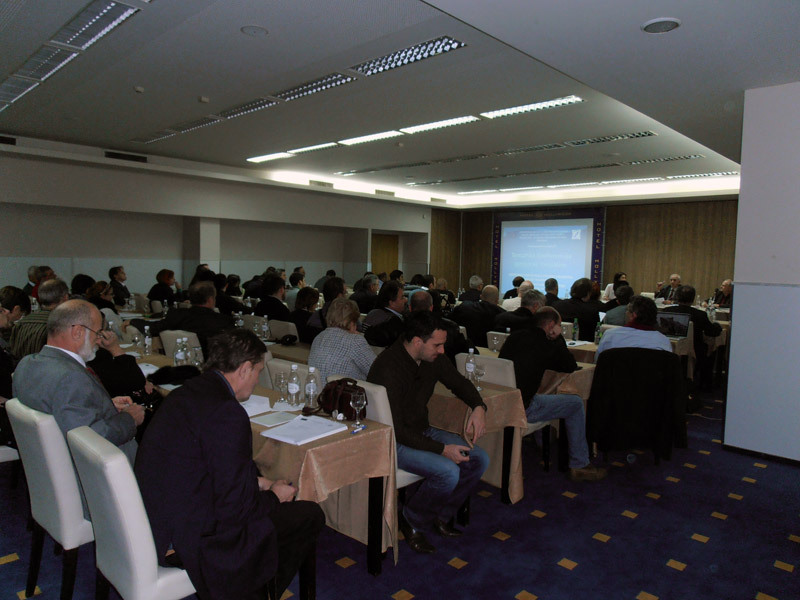 A conference on this specific subject matter is one of the activities anticipated by the project ”Expert Elaboration on Unresolved Issues among the Countries Signatories to the Dayton Agreement – Property and Status Issues of Citizens” funded by the EU Enlargement Directorate General based in Brussels. 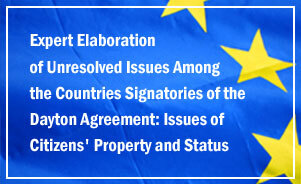 Within this project carried out within the Igman Initiative network of NGOs, a group of independent experts was set up and assigned a task of giving proposals and offering feasible solutions for these issues through a comparative analysis of international obligations, standards and norms and legal frameworks of the countries signatories to the Dayton Agreement. The Igman Initiative independent expert team involves experts from competent ministries from the four countries in question. Igman Initiative co-presidents will hand in expert team recommendations to prime ministers and representatives of the competent ministries, parliamentary committees and of the international community in the countries signatories to the Dayton Agreement. The project also anticipates an all-out regional public and media campaign including a documentary production. 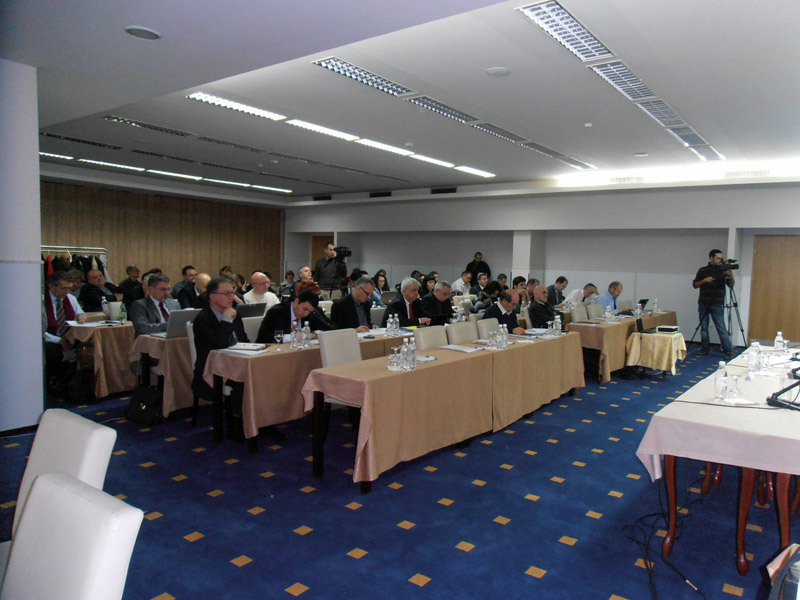 In addition to Igman Initiative representatives and its members, representatives of the international community and ministries of Serbia, Croatia, Bosnia and Herzegovina and Montenegro also took part in the conference. 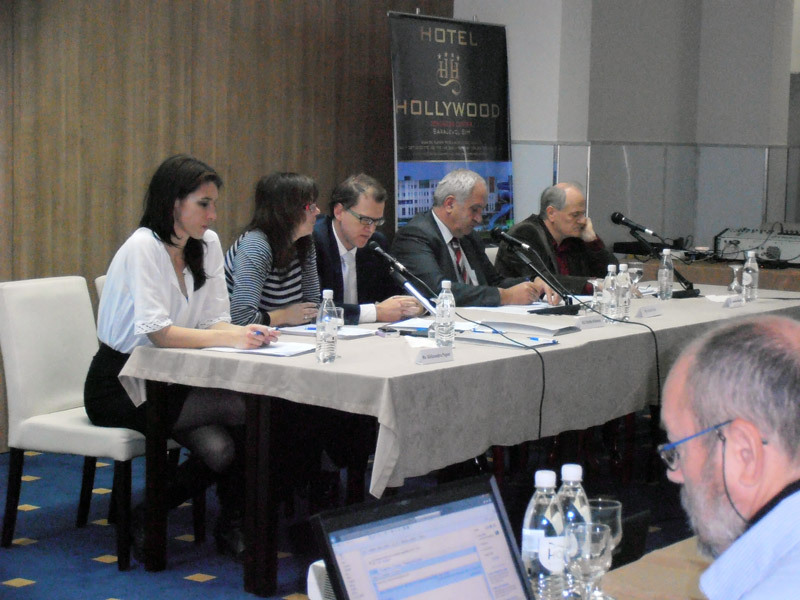 The participants were addressed by Vehid Šehić, project co-ordinator, Luc Lietaer, OSCE political advisor in Bosnia and Herzegovina, Aleksandra Popov, project supervisor and Ratko Bubalo, expert team coordinator. Following the addresses, conference participants continued their work in three thematic groups: citizenship, property and pension and disability insurance. 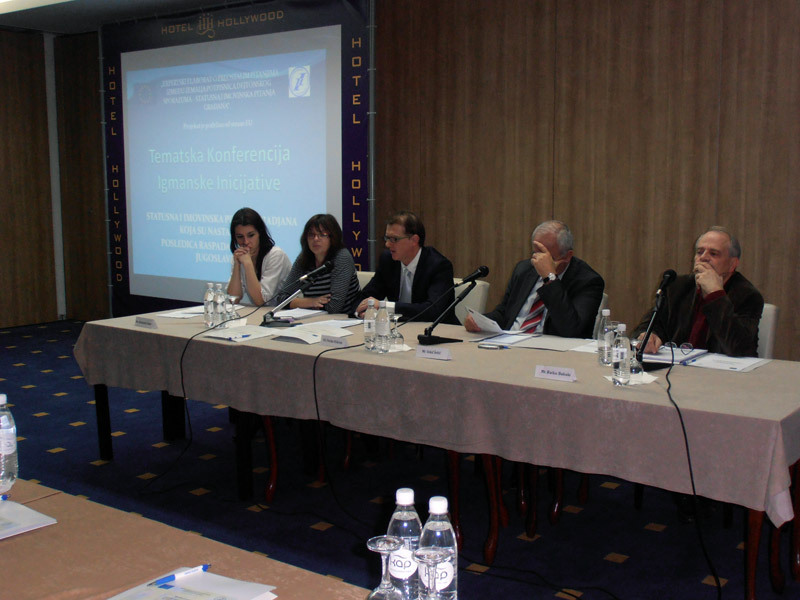 In Serbia and Croatia, there is a national approach to citizenship. Serious violation of the right to citizenship may be an obstacle for countries in the process of EU association. 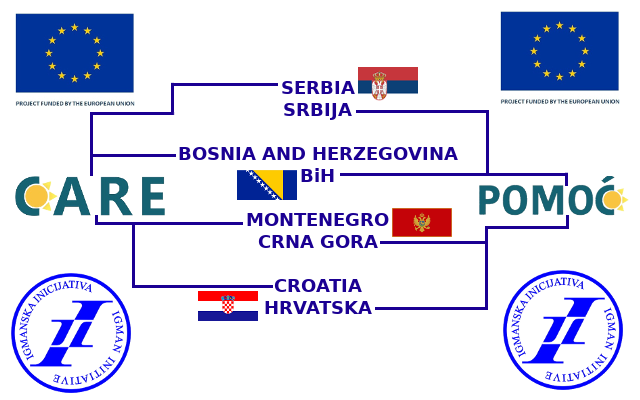 The legal framework in Bosnia and Herzegovina is restrictive towards B-H citizens who freely decide to take the citizenship of another country. Legislation in Montenegro has restrictive conditions when granting Montenegrin citizenship to refugees and citizens of other republics. By signing bilateral agreements on dual citizenship, issues of the so called conflict of citizenships would be resolved in accordance with the international principles. Documentation obtaining procedures should be simplified in all four countries. Obligations of governments of the countries signatories to the Dayton Agreement to their citizens should be defined and legal provisions and obligations stipulated in Annex G of the Succession Agreement should be pointed out. 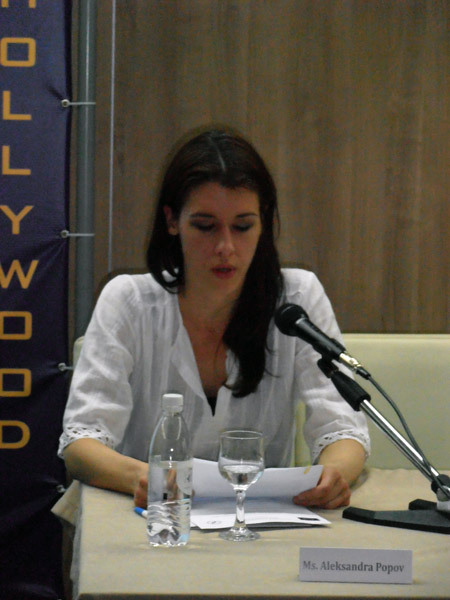 The issue of the return of property predominantly relates to Bosnia and Herzegovina and Croatia. The problem rests with temporary tenants who invested in their housing. In such circumstances, owners of the houses in the majority of cases cannot afford reimbursement of investment costs and are forfeited the right to it. International instruments could be of great help in the process of resolving property issues of citizens. The civil sector may have an important role in resolving issues relating to pension and disability benefits. Legislatures of the countries signatories to the Dayton Agreement should be amended in a manner enabling NGOs to represent citizens before state bodies. High administrative and court fees are a great problem, as well as a limited period of validity of certain documents. Citizens encounter difficulties in the majority of cases. Lack of evidence of paid contributions and past service is also one of major problems encountered by the citizens.